Due to great registration turnout for Tuesday’s Learn To Skate Session 1, we are pleased to offer Sunday Learn2Skate for Session 1 as well! Register in person Sunday Sept. 27th between 6:30pm – 7:00 pm. This once per week program is for children 3 years and up with no previous skating experience. Learn fundamental skating skills, in any type of skate, in a game-based environment. Tunnels, pirates, buckets and stuffies! Come have some fun with us while learning skills based on Speed Skating Canada Cutting Edge Skills program. Contact Jennifer at 613-342-8504 or email info@stlawrencespeedskatingclub.org. 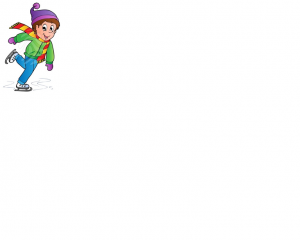 Learn-to-Skate Program – Registration Sept 15th Learn to Skate Session #2 – Holiday Gift!! !